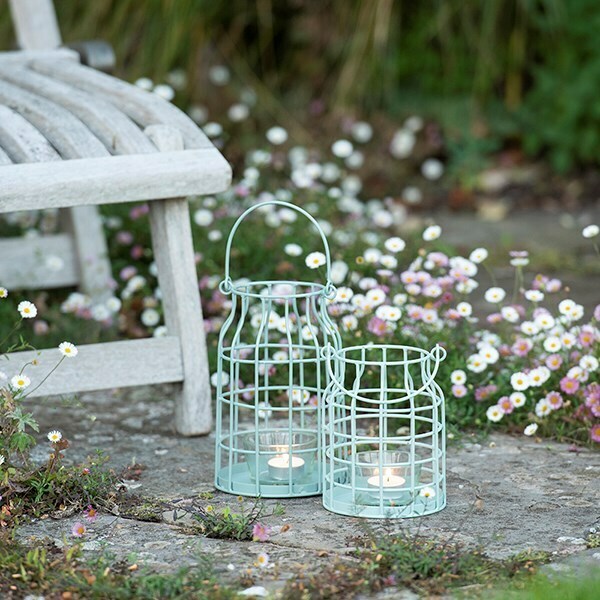 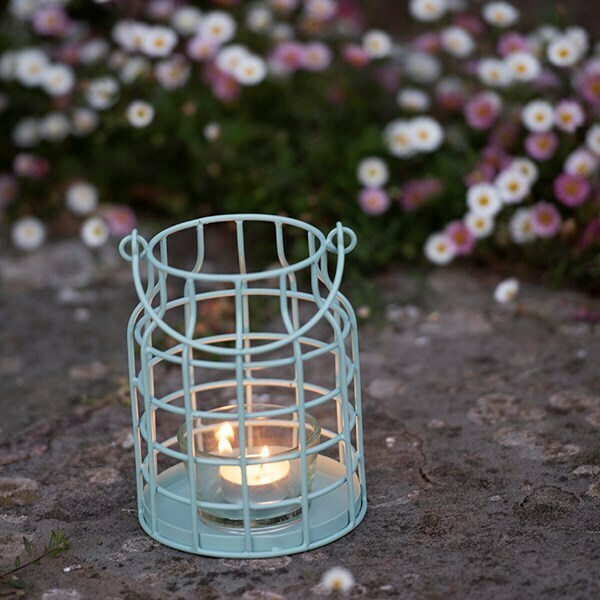 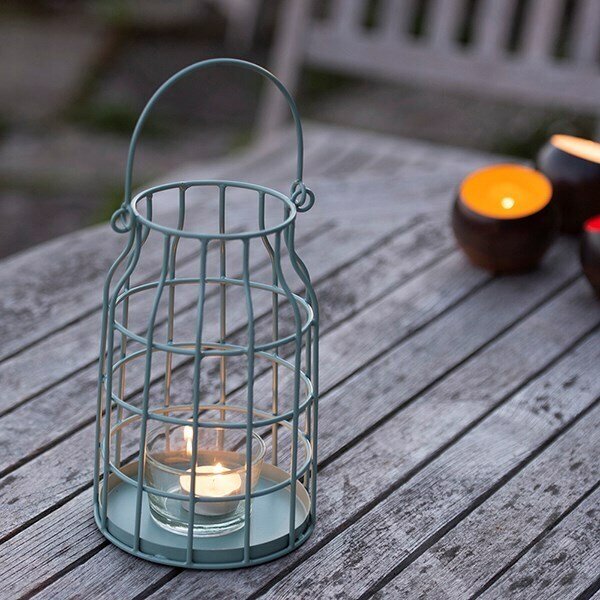 These steel lantern-style tea light holders are finished with an eau de nil powder coat, giving a relaxed coastal feel when lit on sunny evenings in the garden. 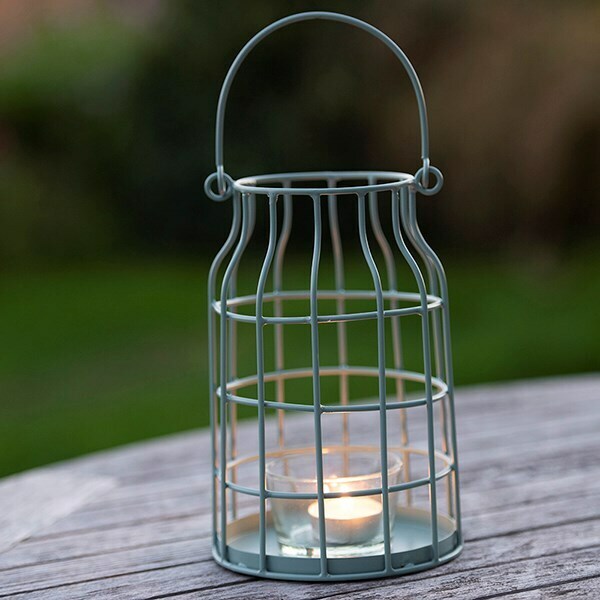 Suitable for use with a small or large tea light, the glass votive will help to shield the candle in gusty conditions. 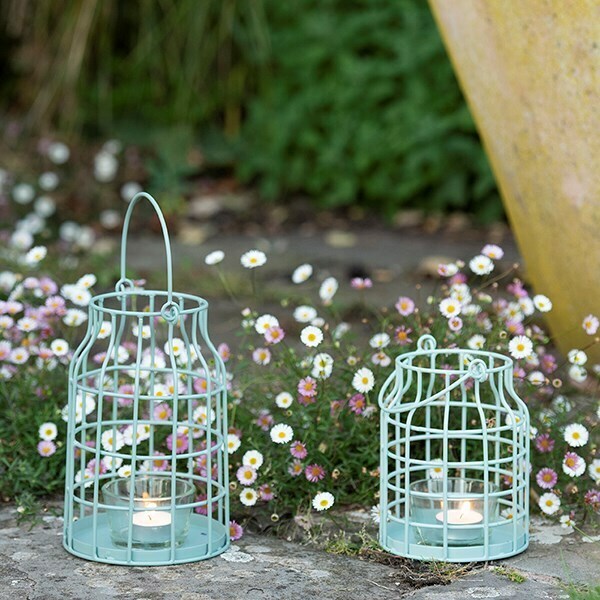 The lantern can either be hung from a sturdy hook or sat on a stable flat surface.